The FDA will hold a two-day public meeting Sept. 19-20 on its recently proposed rules to strengthen the oversight of imported foods, part of the agency's implementation of the FDA Food Safety Modernization Act (FSMA). "Proposed Rules on Foreign Supplier Verification Programs" and "Accreditation of Third-Party Auditors/Certification Bodies" were proposed by the agency in late July. The meeting will be 8:30 a.m.-5 p.m. on Sept. 19 and 8:30 a.m.-12:30 p.m. Sept. 20 at the Omni Shoreham Hotel, 2500 Calvert Street NW (at Connecticut Avenue), Washington, D.C. This is the first in a series of three public meetings FDA plans to hold on these FSMA proposed rules. Information on the additional two meetings, including dates, locations and registration information will be released shortly. The agenda format for all three meetings will be the same. 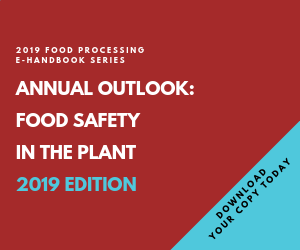 The Foreign Supplier Verification Programs (FSVP) proposal would establish requirements for importers to verify that their foreign suppliers are implementing the modern, prevention-oriented food safety practices called for by FSMA. The second proposed rule on the Accreditation of Third-Party Auditors/Certification Bodies would strengthen the quality, objectivity and transparency of foreign food safety audits on which many U.S. food companies and importers currently rely to help manage the safety of their global food supply chains. The meeting is also designed to solicit oral stakeholder and public comments on the proposed rules, inform the public about the rulemaking process (including how to submit comments, data and other information to the rulemaking dockets), and respond to questions about the proposed rules. Specific information for the Washington, DC, September 19-20, 2013 public meeting is provided below. For general questions about the meeting or to request special accommodations due to a disability, contact Juanita Yates, FDA, Center for Food Safety and Applied Nutrition, 5100 Paint Branch Parkway, College Park, MD 20740, telephone 240-402-1731, e-mail:Juanita.Yates@fda.hhs.gov. Public meeting attendees are encouraged to register online or contact Peggy Walker, Planning Professionals Ltd., 1210 West McDermott Dr., Suite 111, Allen, TX 75013, telephone 469-854-6991, fax 469-854-6992, e-mail pwalker@planningprofessionals.com.